Category Management has existed as a discipline since the late 1980s. It’s a key hygiene factor in what shoppers see at shelf, and a passive contributor to ‘Shopper Marketing’. Key components of ‘traditional’ category management include range, space, price and promotion analysis. recommendations on best use of store staff to influence the shopper, tactics and messages for store staff to use. Any good set of recommendations should at least get to store trial, if not subsequent rollout. We can assist with Trial Management and Trial Research. Category Management is about using yesterday’s data tactically to create a better ‘today’ for shoppers. 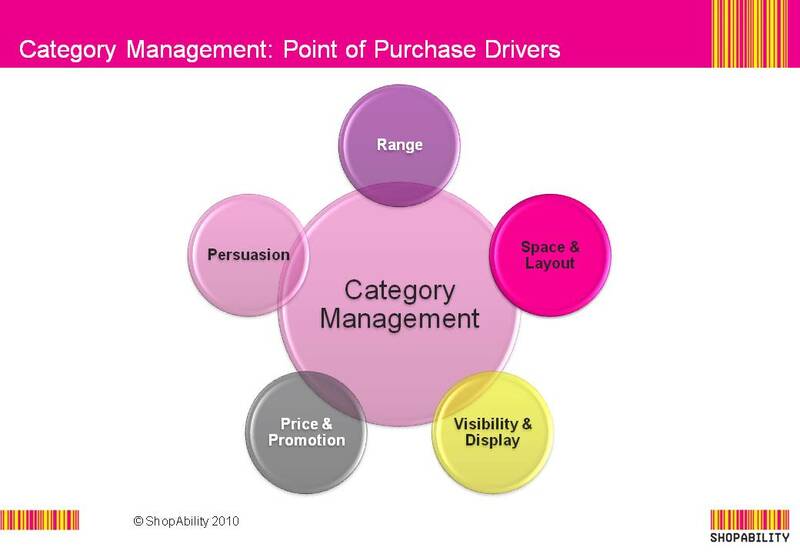 It tends to be based at sku and category segment level. We also train your people in best practice Category Management know-how via our FMCG Training programs.